Future Itineraries – Returning to Central Asia! Howdy all. Sunday’s are presently when I’m planning on giving you a few itineraries as the basis for the blog post. Today though, I am thinking out loud about where I’m hoping to go in around 12 months time, which is a trip to Europe and a ‘stop’ in Central Asia on the way. Yes, the inverted commas are deliberate. Because when Andrew plans a stopover, it can get pretty big pretty quick. I’ve done a pretty good job until the last 7 – 10 days not thinking or planning for 2019. I’ve talked with my wife about plans, but not really since we returned in April from Sri Lanka. But if I plan to go to Turkmenistan, I need to be on top of things and I can’t afford to leave things until the last minute. Turkmenistan has a pretty stringent visa regime. You need a ‘Letter of Invitation’, like you do for Russia and… well there are fewer and fewer countries that need them. But for Turkmenistan, you basically need a tour guide for every day you are there. The only way around this is to get a transit visa, which are not so easy to come by and have a maximum of 5 days attached to them. A letter of invitation, on the plus side, should be enough to allow me to get the visa at the border. The better news is for Tajikistan and Uzbekistan, LOIs are no longer required and in fact you can now get an e-visa. Yay for e-visas! Please keep in mind, in Australia we do not have an embassy for any Central Asian country. I originally just had Turkmenistan on the itinerary. It was to be a week there on the way to Europe. 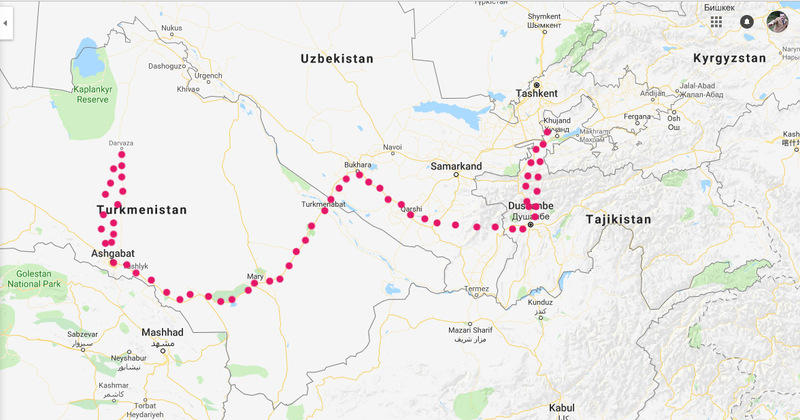 However, as I started to think more seriously about it, I realised that this might be the only chance I get to see the other Central Asian nation I haven’t as yet visited – Tajikistan. I’ve looked into the flights, my preference is to use points where possible. 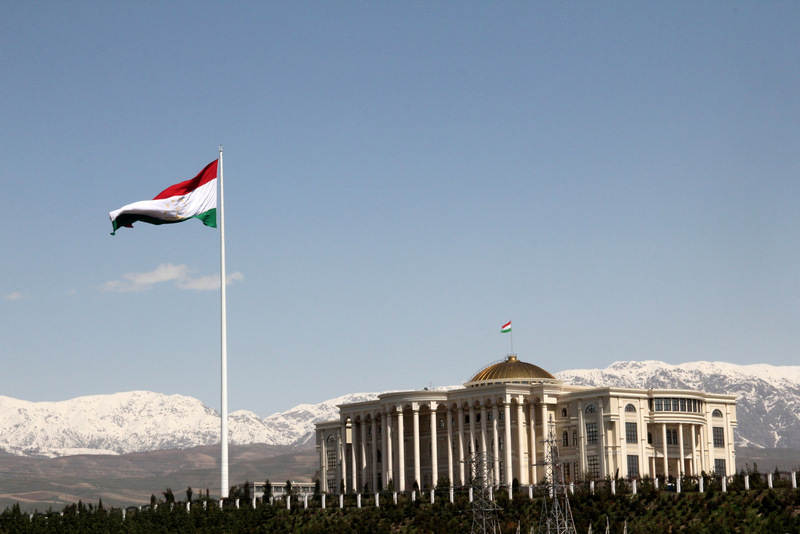 However, flights into the Tajik capital Dushanbe are very limited. It seems my best bet is to take China Southern. This means getting to a Chinese Airport via points, which I am still investigating. At the moment I see that flying via points to Guangzhoui is the easiest option, then China Southern via Urumqi to Dushanbe. In Tajikistan I would dearly love to visit the Pamir Mountains, the ‘Roof of the World’ as it is also known, I would have 5 – 7 days in Tajikistan, this might not be possible, and it would also be very cold in October-November, with snow and some roads possibly closed. Instead, Khojand in the north looks like it’s worth a look, and there are at least two interesting day trips from Dushanbe worth considering. Direct flights from Dushanbe to Ashgabat (the Turkmen capital) are non-existent. So I looked into going by land through Uzbekistan, which sits between the two countries. It actually seems doable, adding 1-2 days to the itinerary. I would enter Turkmenistan south of Bukhara at the Farab border crossing. 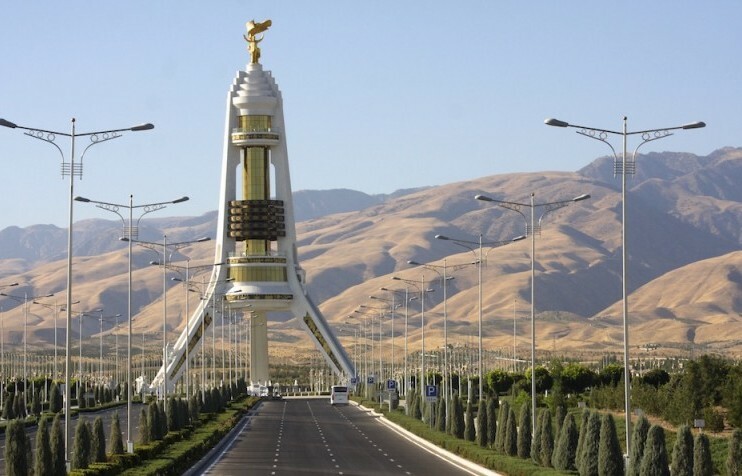 From Farab you go to the first main Turkmen city with a guide I would prearrange to meet at the border – that city is Turkmenbat. From there south to the city of Mary, which is close to he ancient city at Merv. 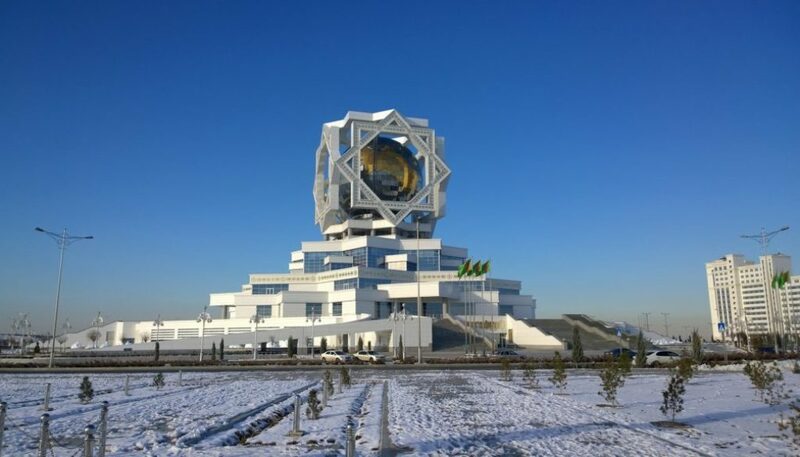 Then to the capital Ashgabat which is apparently something amazing, a little in the mould of Astana, and then to the Darvaza Gas Craters which are in the middle of the country. Giant gas craters set alight in the 70s, expected to burn out in a few days, still burning today! And then back to Ashgabat to fly out to Europe via Istanbul with Turkish Airlines. The Europe part of the trip I haven’t gotten around to thinking about. The focus will be Spain and Portugal. I see this as much easier to plan and organise. Anyways! Thanks for indulging me in today’s post which was far too much about me! Frankly I was a bit stumped at what to write about, and this has been occupying my travel-focussed brain cells. Anyone who’s been, please do comment and advise! Tim? Wow – that sounds pretty intense. I’d love to do a trip like that, but my husband would never do it in a million years, and this one sounds a bit daunting for a solo female … I think I’ll wait and see how your trip goes! Thanks for stopping by! I think it’s not too bad as a female traveller. There are worse parts of the world with more hassles. Wow, some really impressive monuments above. I’ve so far never considered the ‘Stans but you’ve made them sound interesting. And that’s a pretty packed itinerary! 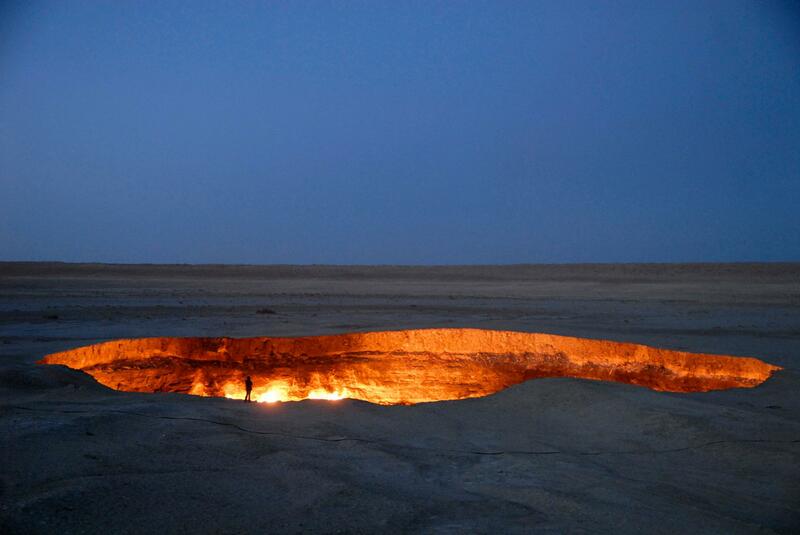 Turkmenistan and the tour guide – wow, pretty strict. What the heck for? its a regulation stuck in Soviet times I guess Frank. Still I guess it keeps people employed. You wonder how many more tourists they could have though without the regulations. For sure, it would be more obviously. Not that it’s a country know anything about. The region receives few western tourists, which makes it for me quite attractive. And for the other countries, visas are getting easier to come by – e visas for Uzbekistan and Tajikistan – I was surprised. And Kyrgyzstan is magnificent!